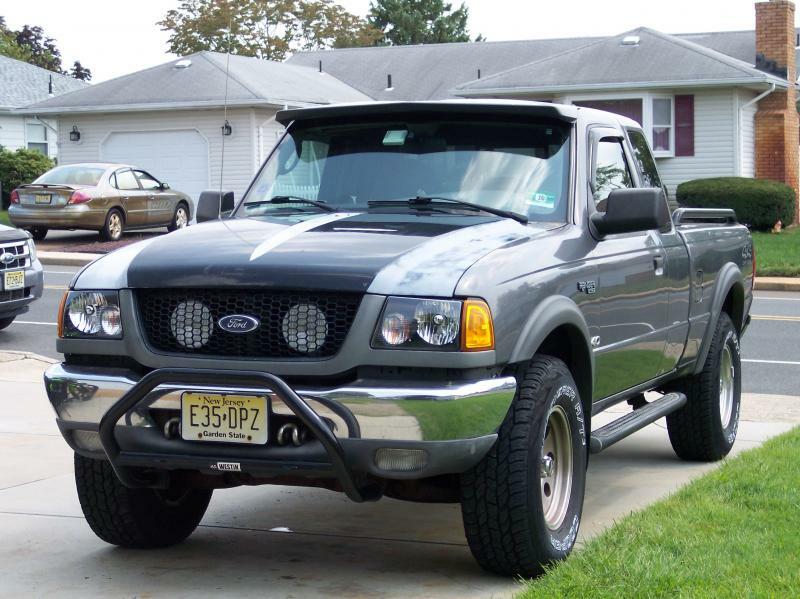 Ford-Rangers.com Ranger Forum > Welcome To The Newest Ford Ranger Forum > General Ranger Discussion > How often do random people offer to buy your truck? I get a note like this every few weeks. usually from the yard/pool/electrical/handyman/etc guys that come through the neighborhood. The biggest issues is, if I sold it, I couldn't replace it. Sub 100k miles, auto, 4x4, rust free, straight body and frame. I just scoured craigslist, I literally could not replace it for less than $12k, and then I would be moving to a colorado or tacoma, and not a ranger/b4000, and even then my choices are limited to a just a couple. I mean, I take it as a compliment, but I've had these guys yell at me when I tell them no, so I've stopped responding, and a "not for sale" window sticker is in the mail. I stopped reading at woundering. Nobody wants mine, takes a special person to like green. Lots of people like the wheels and tires but entire truck.... not so much. I forgot what your truck looked like you don't have any gallery pics? I use to get notes on my motor home( sold it ) we still get them for our house and my truck. Regarding the house, it's usually a flipper looking to get a deal from someone who needs cash now. In the case of my truck, depending on my mood, I'll throw it away or call them up and give them my " I dont want to sell it price". If anyone ever takes me up on it than they want it more than me and I'll have made enough to replace it. There is no flexibility on that price cause I really am not trying to sell it but if they come up with the money I just might have too. With my motor home, they would tell me all kinds of sad or hard luck stories once they thought I might sell it. Then I'd get a low ball offer. After I decline they would send another actor. Usually end of summer or after it rained. Once they get you to agree on a price they dont show up to buy it just yet. Then they call up with another hard luck story and try to drive the price down even further. 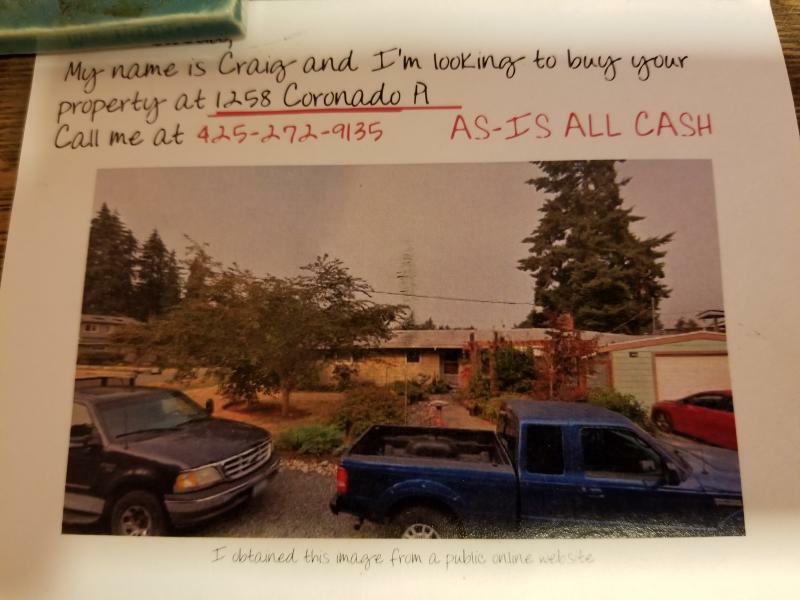 They are trying to find someone who needs cash now and hope they will take anything they offer. Price your truck, price a truck that you'd be ok replacing yours with then add more. If they say you're crazy it's not worth that much then maybe they will quit leaving notes. Got this last week. Lol. I like your green truck. I got the one I did because other than black, I didn't care about color. (I don't like black cars). Id take the notes as a compliment. This topic has reminded me of when I was selling my 99 Ranger. We bought it with 120k miles for $4000. When it got close to 200k I decided to sell it. It had actually gone up in value because there was a shortage of used vehicles at the time. KBB valued it at $4500. When people would come look at it they would ask why was it so cheap. Id explain it had 200k miles. Then they would ask how I put so many miles on it so fast. I kept it so nice people assumed it was a lot newer. I've never lost money on any of the 3 Rangers I've owned. 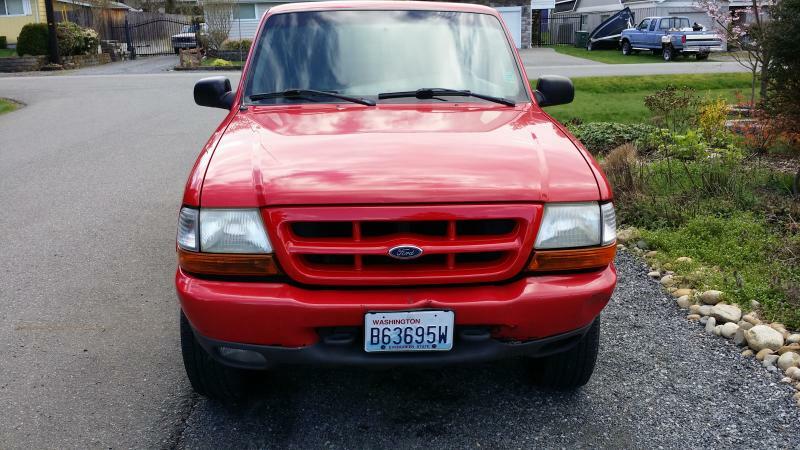 I ended up getting my full asking price for the 99 Ranger and made $500 after putting 80k miles, a ding in the front bumper, and a ding in the rear bumper. 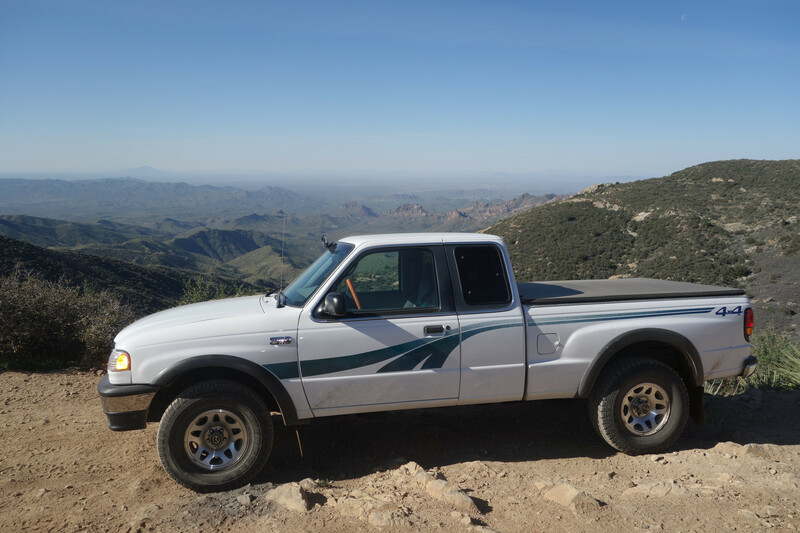 I made $2,175 on my 87 Ranger after I put 60k miles on it. I love Rangers!!! I see why you are getting notes. It's nice and clean!! Good looking truck!! Oh, I absolutely will take it as a compliment. I always expected my truck to at least keep it's value. I paid $2500 for it, figured it would never go below that, regardless how many miles I put on it, but I think I could easily sell it for $5000 or more if I was in the mood to sell it. Thanks! it's a great 10' truck, meaning it looks great from 10' away. But once you get close, you can see where the PO bonked every corner into something, both front and rear bumpers are bent in a touch. and there are dings and dents around it. I don't care, I paid $2500 for it, and I use it to do truck stuff and go off road. I'm sure i'll add my own list of dings and dents. I do not get any notes to sell mine, I guess nobody nobody wants it which is fine by me. My Ranger does have its dents, dings, & scratches that were on it when I purchased it, I will just have to keep it for myself. I also live in a retirement area & there are a hand full of Rangers in the area already. I have a standing offer from the high school kid that works at O'reilly's. Every time I get something and he is working, he makes sure he is the one waiting on me and follows me to the parking lot. I'd start asking what they are offering? Then I'd say nothing and walk away, they might go higher. Lol. Then I'd look real good and hard at your truck and see if there is something special about it you are not aware of. I'd also ask why they are interested what they like about it? I'd try and figure out if they think it's very desirable or if they think they can get it cheap? Because you are definatly getting more offers than what I'd call the norm. LOL, maybe, my gas tank seems very small sometimes. I think it really is just the availability of good condition of small trucks around. Especially around here, they are bought by the small business guys and just driven into the ground. 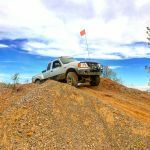 Off roading around here is very popular, and so they are also often heavily modified, and the popularity of the new ranger has brought a lot of interest up. just seaching craigslist for a 6cyl and 4x4 of any year, and you'll be hard pressed to find any, add in auto, and it gets even thinner, and then add under 100k miles, AND mostly unmodified (only a radio upgrade on mine). and I found 1 available on craigslist, for $9k from a dealer, so pushing $11k when you're out of the door. I've asked, and the one person who gave me an offer was $3000. he was really looking for a deal. The offers had died off at the beginning of this year, but they really picked up the last few months. I think it is because its parked to the side of my house, but very visible from the street. and Home Depot was a madhouse this weekend, and I parked over by contractor parking, and it was all the contractors out by their trucks that asked me. I'd put a for sale sign in the window that says "Offers over $15,000"
Agreed. You might want to import rangers and mazdas and start flipping them for big $$$. Sounds like the market it right!!! My other mazda is a 2003.5 mazdaspeed protege... Cannot sell it for what I paid for it not running and I put a bunch of money into it.... so at this rate, it would be a wash. I've never had offers on any of my trucks,the only vehicle I've ever had that got me a lot of offer was my '73 Impala,mainly from a guy at work. It was over 20 years old and over 200,000 miles but he wouldn't leave me alone about so I said "Fine,$10,000 and you can have it",he said "$10,000? you'll never be able to sell it at that price",I said "that's the point". He never mentioned it again . Probably the reason I've never got offers on anything is because they've all been old,rusty,dented and things like that,I can't afford anything real nice. Oh man, every ranger an mazda owner should suffer/experience this. Lol. Hey man, I like your truck. Any chance it's for sale? Hmm,I'd have to think about it for a minute......hmm,let's see.........uh,HECK NO!!!! Page processed in 0.2609 seconds (18% database + 82% PHP). 116 queries executed.